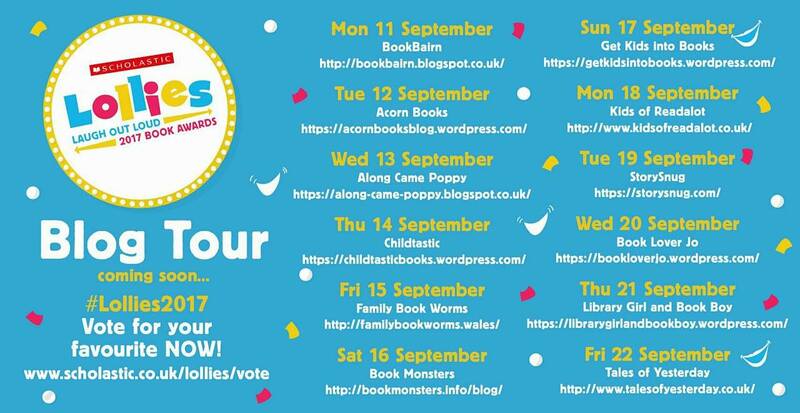 Today I’m delighted to be kicking off the blog tour for the newest book in the Little Gem series ‘Rose’s Dress of Dream’s’, written by Katherine Woodfine and illustrated by Kate Pankhurst. I’m a huge fan of both Katherine and Kate’s work so I was delighted to hear that they were collaborating on this book and it’s just a gorgeous, inspiring read. Based on the inspiring life of Rose Bertin, the woman credited with creating haute-couture and a remarkable pioneer of fashion at the court of Marie Antoniette. . This beautiful story captures the essence and extravagance of this period wonderfully, enchanting the reader with Rose’s spirit and bravery. 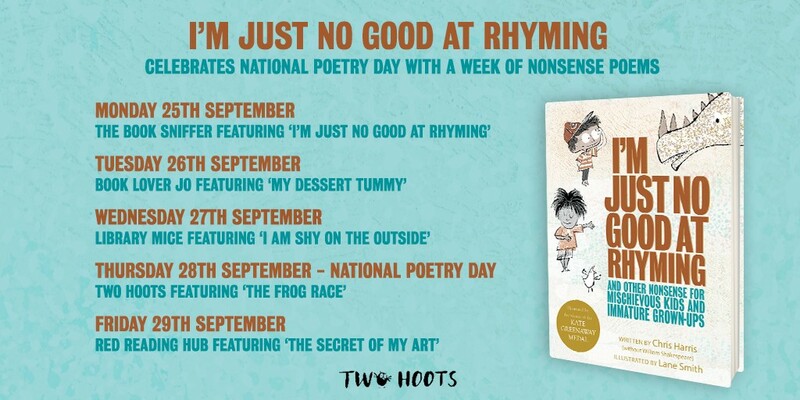 To celebrate the launch of this book I am sharing an exclusive glimpse of one of Kate’s illustrations from the book as well as a Q & A about her work. So without further ado here is my sneak peek of one of the illustrations…. 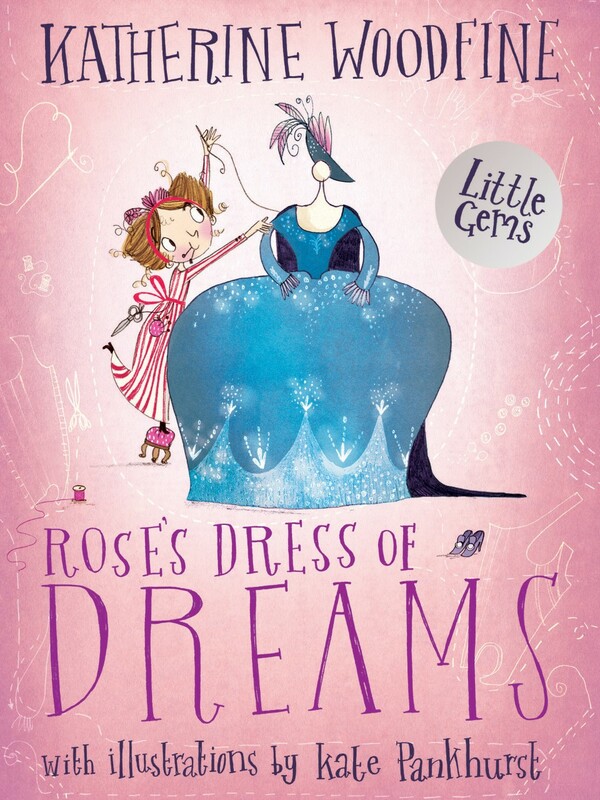 This stunning illustration offers the reader an insight into Rose’s daydreams as she imagines the most magnificent and splendid costumes for her friends and dreams that one day she will bring her creations to life. I’m a huge fan of Barrington Stoke’s Little Gem series, what was that appealed to you about working on this collaboration with Katherine Woodfine? I’m a big fan of Katherine’s writing and how she makes history feel very much in the present moment. So when the opportunity came up to work with Katherine on some fun and flamboyant illustrations of 18th century fashion for Rose’s Dress of Dreams for the Little Gems series how could I refuse!? I love the production values of the Little Gems series, they really are beautiful little books. I think you’ve captured the extravagance of 18th century fashion beautifully in your illustrations, how did you research the costumes and wigs for your designs? I love gathering as much visual source material as I can for illustration projects. Picking out the small details to draw that will really bring a character to life is one of my favourite parts of the process. Katherine had put together a Pinterest board of her research which was hugely useful (I love Pinterest). I too basically went Pinterest crazy, pinning lots of stunning dresses and accessories from that era, there are lots of Rose Bertin’s designs in museum collections that have been beautifully photographed from all angles so you really get a sense for the detail and fabric. I also found lots of really gorgeous 18th century prints of fashion illustrations picturing ridiculously fancy hats shaped like ships and those amazingly gorgeous (and silly) wigs! I love the illustrations of the stunning dresses that Rose designed, if you could create your own dream dress and money was no object what would it look like? Maybe I’d go to town and embrace the whole Marie Antoinette feel. I loved watching the Sophia Coppola film Marie Antionette and have ever since quite fancied swanning around in a massive dusty pink wig draped in pearls and one of her enormous sugary pastel coloured dresses, and if I was going the whole hog maybe it would have lots of frills to! Your books have featured women from many different periods of time, do you have a particular period in time you’ve enjoyed illustrating? 18th Century France has been a highlight and I also love 1950s fashion and the geometric patterns used in interiors from that time. It’s really good fun to dip my illustration toe into so many periods in history. Your wonderful ‘Fantastically Great Women’ series feature women whose achievements have helped shape the world we live in. Do you feel that Rose Bertin was a pioneer whose designs have had an influence on the fashion world? I think Rose was an inspiring woman and pioneering in lots of ways, she ran her own successful creative business which was unusual for a woman at that time anyway and the way that she dressed women for who they were was the beginnings of the fashion industry as we know it today. 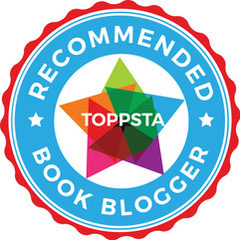 She is a fantastic character from history for young readers to learn more about. Thank you Kate for taking part in this Q & A.
Katherine Woodfine is the author of ‘The Mystery of the Clockwork Sparrow‘ and sequels. 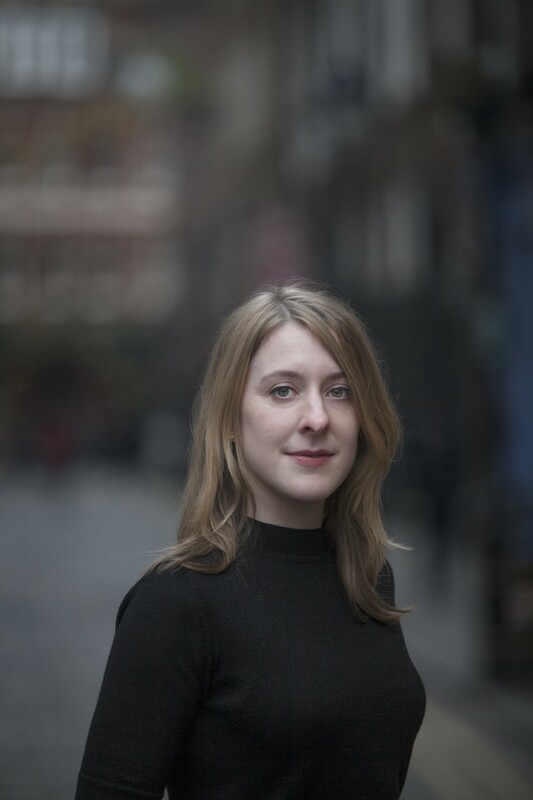 She previously worked at the BookTrust, ran the YA Literature Convention, and now hosts the children’s book radio show ‘Down the Rabbit Hole’. She lives in London. Kate Pankhurst is the author and illustrator of ‘Mariella Mystery Investigates’, ‘Fantastically Great Women Who Changed the World‘ and ‘Fantastically Great Women Who Made History.‘ She is descended from Emmeline Pankhurst herself! When not drawing, Kate runs workshops for children. 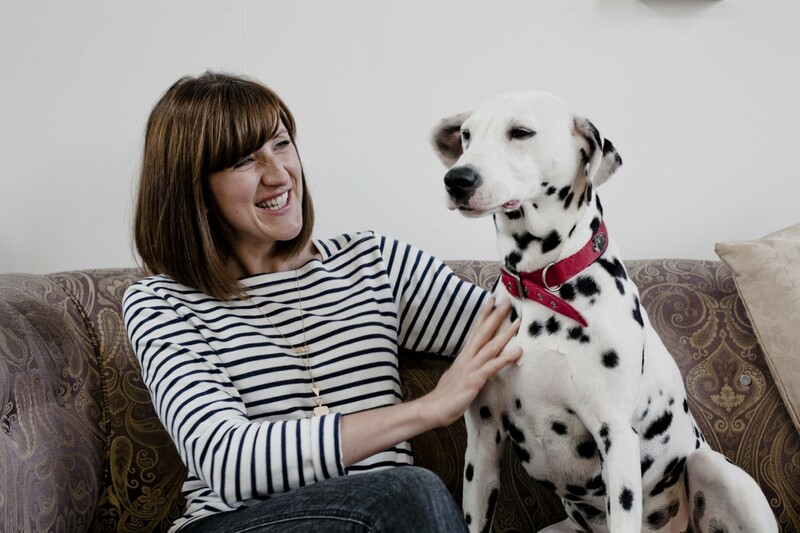 She lives in Leeds with her dog Olive. 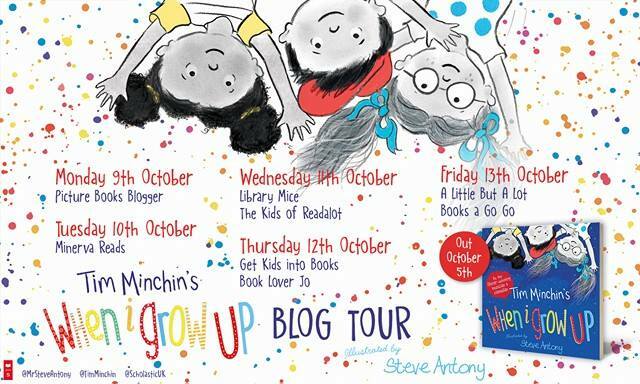 Why not join in with the rest of the blog tour for more illustration reveals, reviews and Q & As. 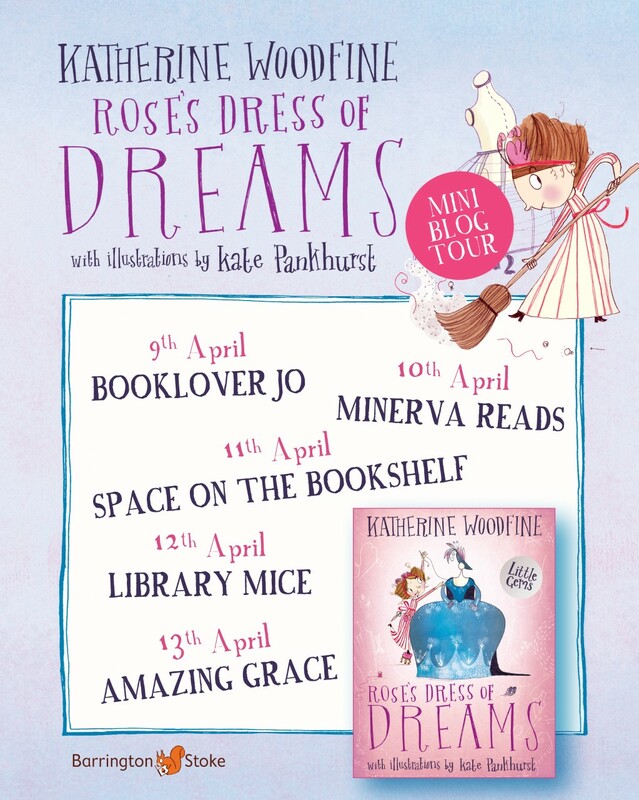 Thank you to Kirstin and Barrrington Stoke for inviting me to take part in this blog tour, ‘Rose’s Dress of Dreams’ is released on the 15th April and is available to pre-order online or from any good bookshop. 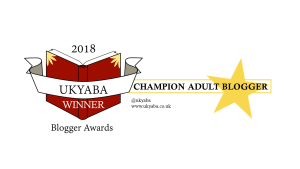 This entry was posted in Uncategorized on April 9, 2018 by bookloverjo.